I hate my voice...and I'm next to my phone so it's loud-sorry! We whipped our class poem out in minutes-they loved it! I plan to revise and add to the poem for the final copy, but I was pretty impressed with the first draft! Now...are YOU ready to be impressed??!! My students wrote their own poems for two voices from the voices of Rosa Parks and Martin Luther King Jr. We've read several mentor texts about both of these inspirational people, so they used this knowledge to create their masterpieces! Here's a copy of these two students' poem in case it's hard to understand. My favorite part is for Martin, "I have a voice of thunder" and for Rosa, "I have lightning eyes." Such deep and powerful thinking! Love!!! DO YOU WANT TO KNOW SOMETHING MORE IMPRESSIVE??!! I modeled the class poem the day before and they wrote these poems ALL ON THEIR OWN WITH A SUBSTITUTE!! One of my friends subbed for me last week and she texted me after school to tell me how amazing they did on their poems-as soon as I returned the next day I knew they were very motivated by this assignment! They've already asked me when they can write them again! These are the kinds of lessons they remember and for teachers bring a smile to our hearts! You MUST try this with your class! It could be used with so many concepts and grade levels! **NEW**Please type the name of your motivator with your blog name when you link up. I have this book, actually I know I have multiple copies of this book on my poetry shelf and I have never read it or used it with my class! I am going to have to pull it off my shelf. I love the way you used it, what a fun lesson! I was just looking at this book at our school library, and I put it back on the shelf. I'm introducing poetry to my kids over the next few weeks. I love, love, love the idea of having kids write a poem for two voices. What a great idea! I love Joyful Noise! Such a great poetry book. Thanks for sharing and reminding me! What a great way to integrate writing into your fluency practice! Such a great motivator for your students. Definitely borrowing this idea soon. Thanks, Joanne! I really LOVE this idea! I have been trying to find something neat to do to celebrate Black History month, and I think this is perfect! That's so impressive that your kiddos could do that on their own so quickly, especially with a sub! That's such a proud teacher moment for you! Thanks for sharing your great ideas! Love their poems - they did a great job and picked some powerful images. I will have to look into this book for sure (a new book to look for and it is not even mentor text day!). It is so great coming back from a day off to work that was done well rather than work that has to be re-done or finished. Thanks for sharing and hosting. What a great great great lesson. 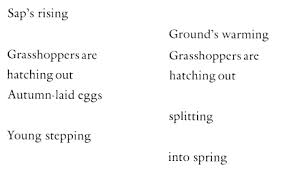 I am just starting poetry with my students, and I can't wait to do something like this with them. I Love the book Joyful Noise! Thanks for reminding me about it! Thanks for sharing! I love this book, but I needed a reminder as well! You are right about having so many ideas that sometimes they get "lost". The Martin Luther King/Rosa Parks poem came out great. Thank you for another awesome idea! 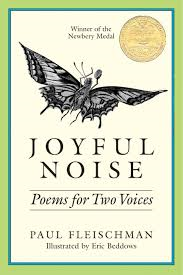 I've used two-voice poems with second graders and they absolutely loved it! I am going to have to try this with my fifth graders. I love how you did the Martin Luther King/Rosa Parks poems. How awesome is this!!! I loved the one y'all did as a class and was blown away by what your kiddos came up with!! What an excellent lesson! This will work perfectly for our revolutionary unit.. We just happen to be studying Rosa Parks and Martin Luther King, Jr. during this unit! I'm still out from surgery, but Theresa, Pinkadots Elementary, will be thrilled! I will save this lesson for future use! Thanks!